Quick – what’s one thing your business could always use more of? If you said “customers” then we have some big news for you! 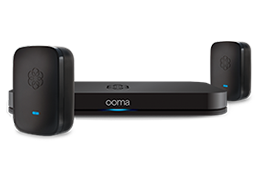 You already know that Ooma Office can give you a full-featured business phone service at an affordable price. Now, we’ve expanded Ooma Office beyond telephony with the introduction of Business Promoter, a powerful lead generation tool designed to help you drive customer acquisitions via qualified inbound customer phone calls. Business Promoter helps small businesses get the most from their marketing by building and optimizing their online presence and providing targeted advertising support – this helps your business get found by potential customers and drives qualified inbound phone calls to connect your business with sales and service opportunities. Qualified leads are a goldmine for small businesses. By incorporating lead generation into Ooma Office our customers never have to leave inbound leads up to guesswork and chance. Your business will operate more efficiently, and you will gain new insights into the effectiveness of your marketing efforts – all through the smartest VoIP phone system that’s already saving you a ton of cash. 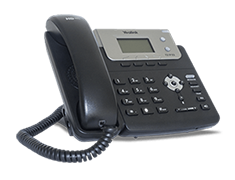 Ooma Office small business phone service starts at $19.98 per month, and our customers using Business Promoter will only pay for high-quality, qualified leads to your business. We also provide a weekly breakdown of activity and performance so you can track the performance of your marketing over time. We’re excited for you to try out this new service and watch your business grow.